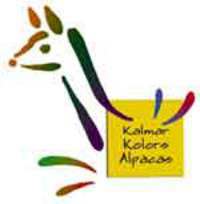 Breeding for excellence in dark colored alpacas for 17 years. Rose grey 1st Juvie at 2018 Nationals! 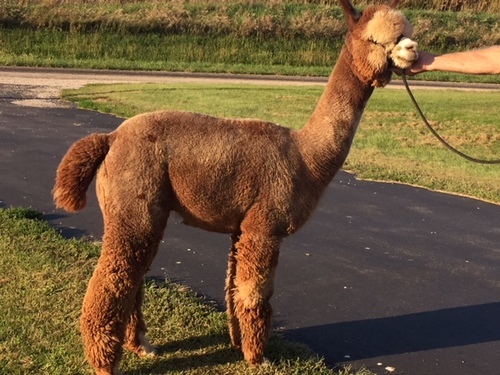 LLC & JLFA Peruvian Striker is a Future Herdsire YOU NEED to take your breeding program to the next level. 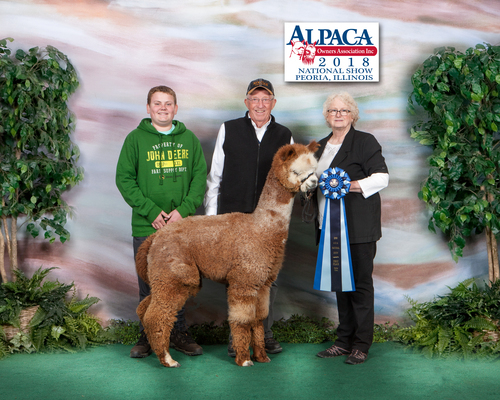 Striker is a Reserve Champion that has it all–full Peruvian, part Accoyo fawn male demonstrating conformation that is flawless with straight lines, perfect proportions & compact stature. His fleece is tantalizing–Blinding lustre, extreme fineness, super density, zipper crimp, long staple & ultra-consistency. Great pedigree for color here! 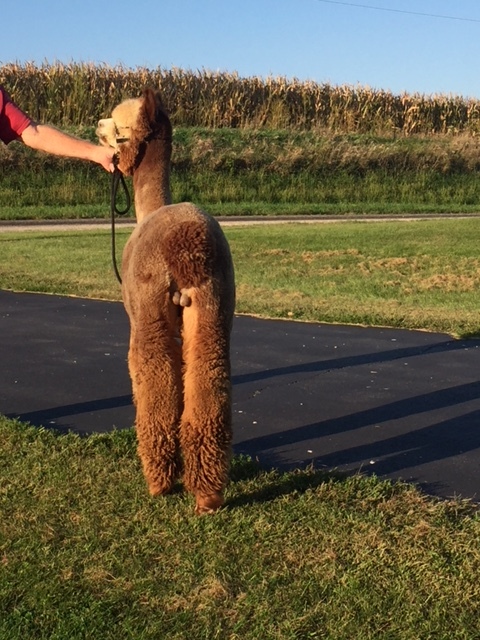 This young male has the fleece, conformation, and pedigree to be a bonafied stud prospect. 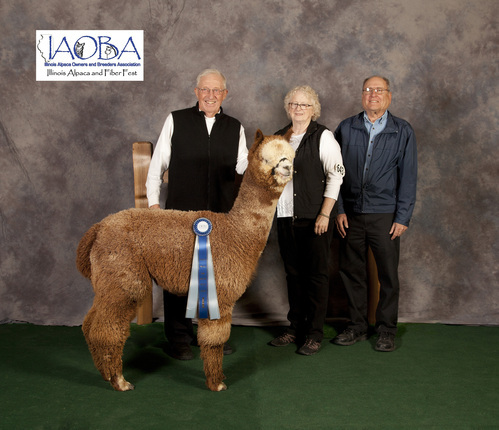 Was the first place light rose grey juvie at the 2018 National Show! His pictures from September 2018 show that his conformation is correct and he is equipped for a future in the stud pens. He tells us to start booking a few breedings for him in the spring of 2019.
Financing available for purchases over $1,000.